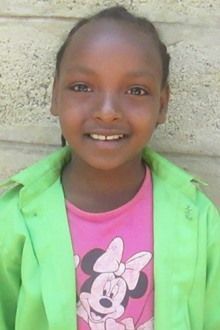 Asebech lives with her parents with a family size of 6. She has 3 siblings and she is the third child in the family. Her father is a daily laborer and her mother is a house wife. Her father gets paid a minimum wage which is not enough to manage the whole family. However, her parents are struggling to address the basic needs and educational materials needs of their children. Therefore, the child's enrollment into the Holt?s sponsorship program will be a great opportunity to pursuit her educational needs. She was healthy both physically and mentally. Asebech has joined Wallana KG school in this academic year by her father as it is the only school in the area that provides quality education without school fee. Besides, her parents are not capable to address her basic and educational material needs due to their poor economic status. Tell your friends Asebech needs a sponsor!